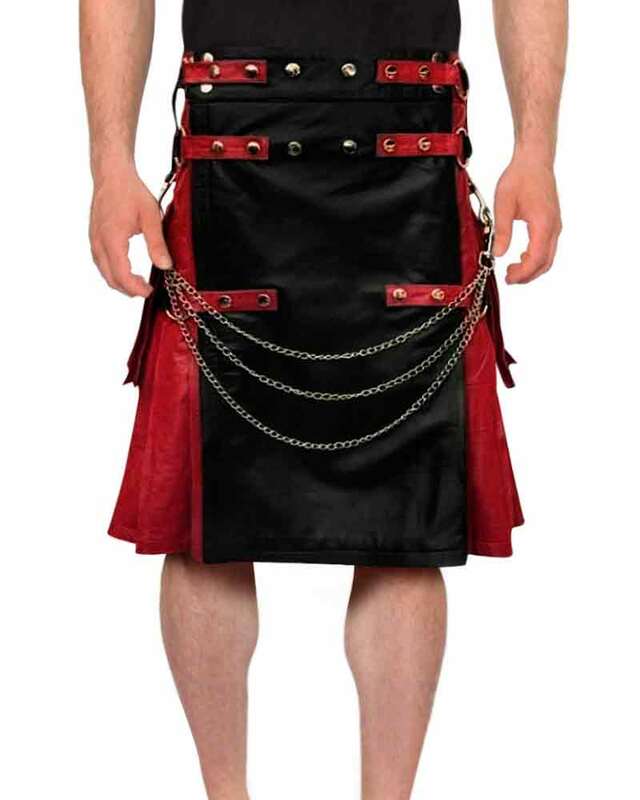 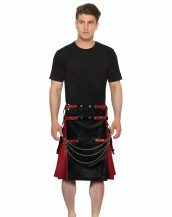 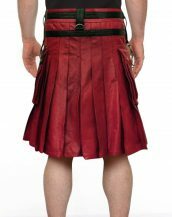 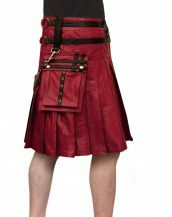 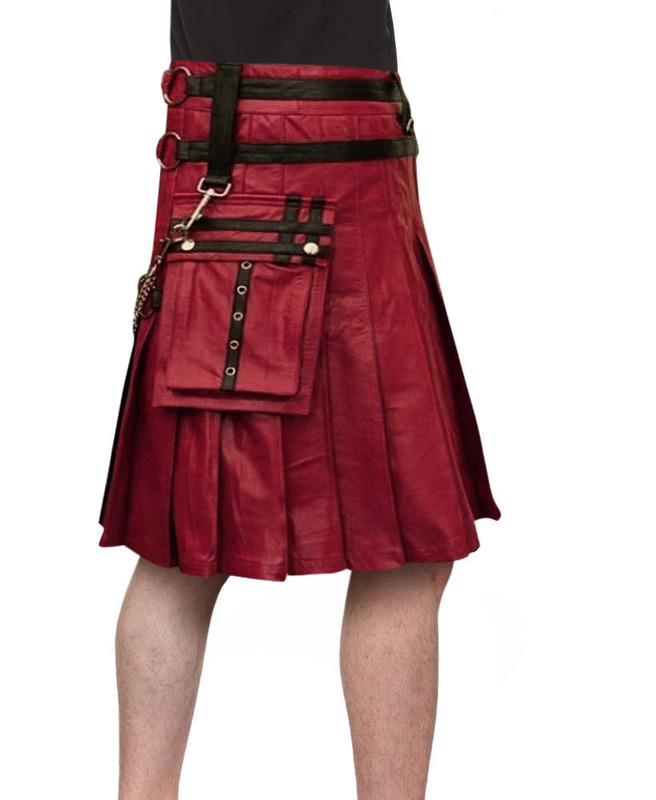 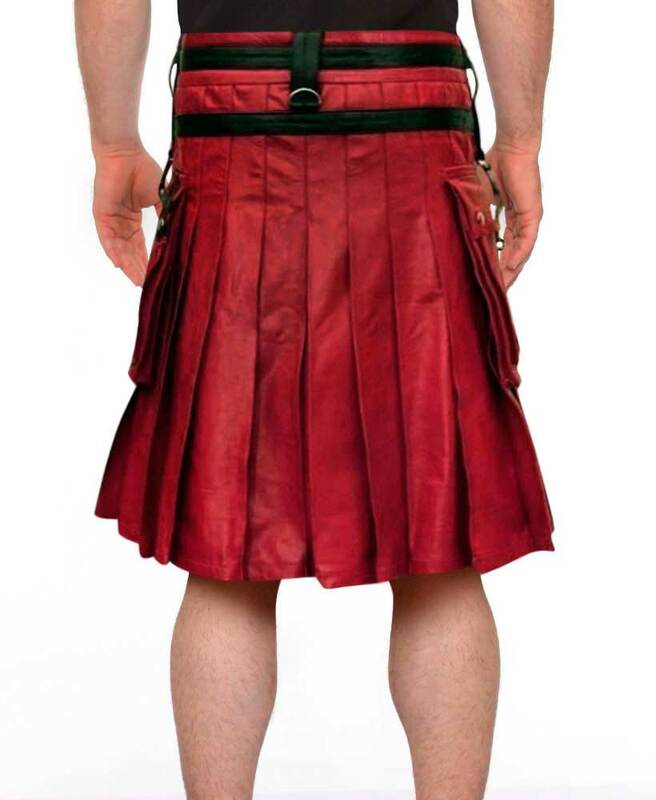 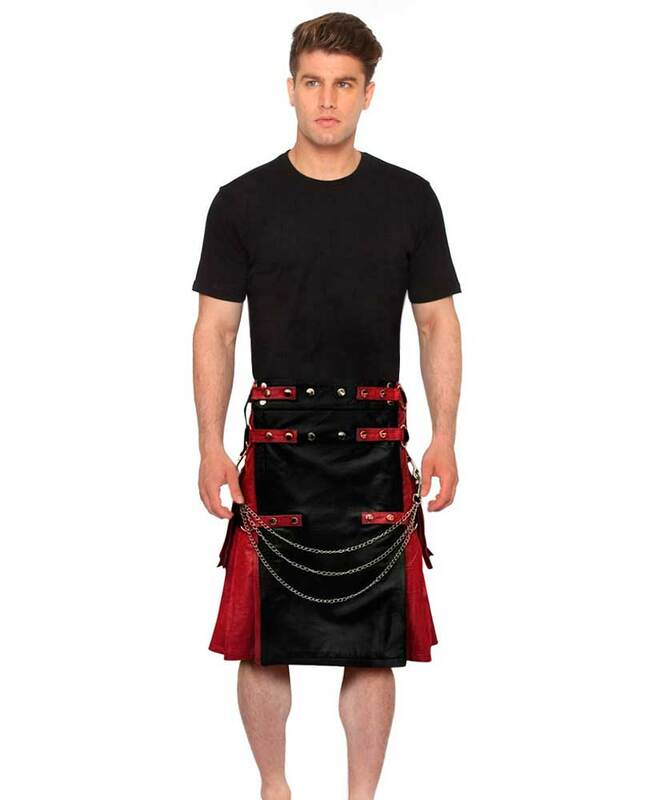 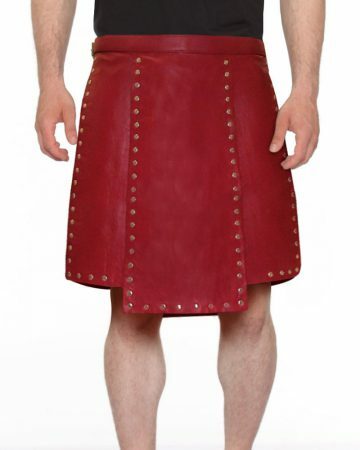 Update your traditional occasion wear with this red and black studded kilt. 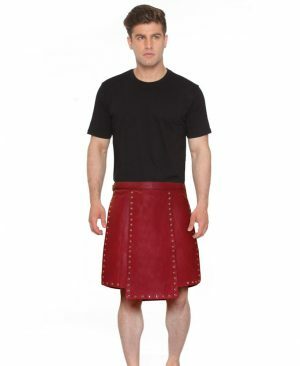 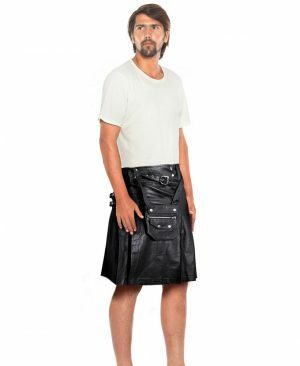 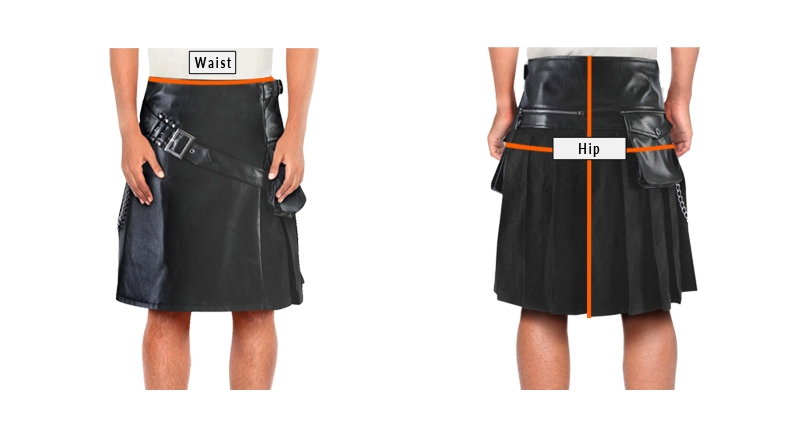 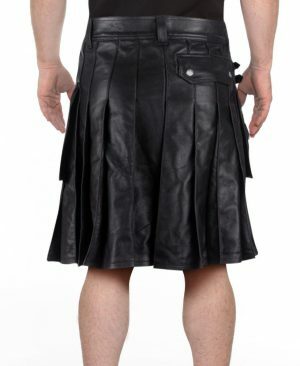 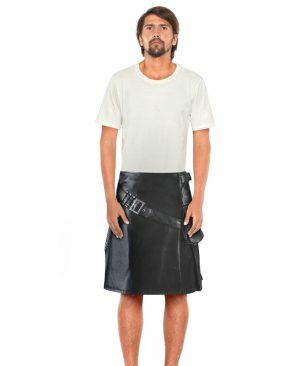 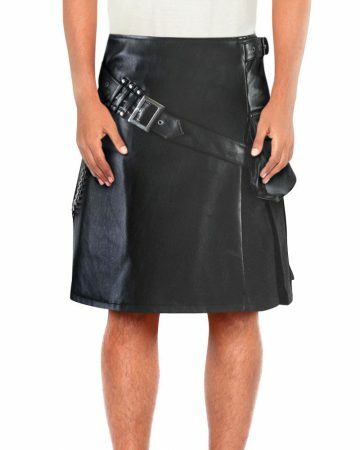 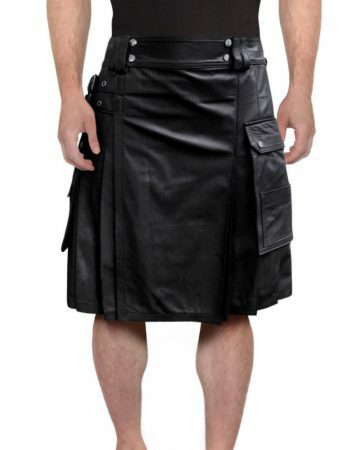 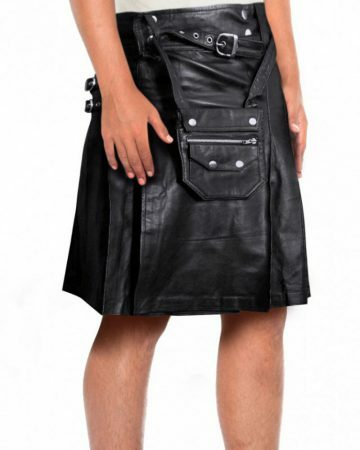 Handcrafted from lambskin leather for comfort, this easy to wear style has inverted pleats right from the back to the front.Color block side and back panels create suave modern edge and it is finished with chain accents for a more military feel of traditional kilts. 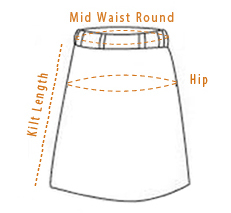 The pouch utility pocket further accentuates the heritage of the piece while making it highly functional.